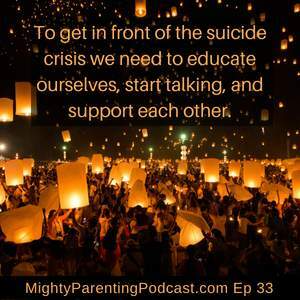 September is Suicide Prevention Awareness Month, so Mighty Parenting is tackling this big topic in a relatable way. Podcast hosts, Judy Davis and Sandy Fowler, have an open and honest discussion about suicide prevention. Starting with a look at what’s happening and why, along with ideas for helping our kids and our community. They share an inside look at the world of teen suicide then share a simple path to suicide prevention. While a simple path may seem overly optimistic, it is real. There are things each of us can do, simple things, things we do now but with a different focus, things that we want to do anyway, things that can save lives. Since part of what is needed is community discussion, please share this episode with a friend and with a family member. Allow it to help start discussions and change the world one talk at a time. To get in front of the suicide crisis, we need to educate ourselves, start talking, and support each other. There is a suicide epidemic happening with our teenagers. They are living in a state of hopelessness and see suicide as the only answer. The CDC tells us that, on average, 3041 teens in grades 9-12 attempt suicide every day. 4061 lives are lost in a year. As a parent, this is scary and we don’t even know what to do so we let ourselves believe that it can’t be our kid, their friend, or someone in our family. Suicide is happening to teens from every walk of life no matter the race, gender, or socio-economic background. Judy’s son attempted suicide multiple times, but she didn’t know until 2012 when the crisis center called her to say her son was in trouble. She had no idea that her son was in so much pain, and neither did anyone else. He showed the world a mask—a different, happy version of himself. He had friends, did well in school, and appeared to be fine, but he wasn’t. Teens in pain will often wear a mask. They hide behind expressions, words, and lies that the world wants to see so no one knows the pain they are experiencing. They often believe there is something wrong with them and that they are alone, or have to solve their problems alone. Building our relationship with our child helps them to know they are not alone. They have difficulty picking up the cues that someone is paying attention. Social media reinforces the messages of “There’s something wrong with me” or “I’m not good enough”. They don’t know how to simply be present and relax. They feel like they don’t have anyone to reach out to. Suicide ideation is a problem that can be solved. There are many levels of problems in mental health from what to do when your feelings get hurt all the way up to suicide ideation. To get in front of the suicide crisis we need to educate ourselves, start talking, and support each other. Knowing you aren’t the only one feeling that way is extremely important for mental and behavioral health. Sharing our stories is key in doing that. If you are with someone who is in danger call 911. If you are with someone who is experiencing extreme emotions or feelings they don’t know what to do with, they can text 741741 or call 800-273-TALK. You can sit with them while they call or even call to ask how to help someone you are with. You can start educating yourself at DASIUM.net as well as get Warning Signs: The Parenting Guide for Determining if Your Teen is At Risk for Depression, Addiction, or Suicide. 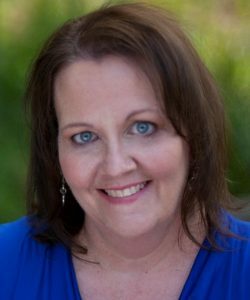 A recipient of the 2016 Dove Real Beauty Award, Judy has also been quoted, featured, and profiled in a variety of publications and interviews including Smart Money Magazine, Hiring America TV, The Jim Bohannan show, Dr. Laura Berman Show, and more. 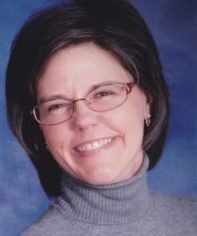 She is regularly featured as a parenting and military lifestyle expert/guest on radio shows and panels highlighting the challenges and issues facing families today.